Sunsets and plenty of prep! This week has begun in a busy fashion for us and is set to continue. With two bump shoots, a trash the dress shoot (weather permitting) and a wedding on Saturday, the Tyack team have plenty of prep to keep them busy. This weeks wedding ceremony takes place in Camborne, with the Porthminster Hotel (also known as the St Ives Harbour Hotel) providing a gorgeous backdrop for the reception and evening do. We did manage to take a little time out last night though, because we couldn’t resist photographing the amazing sunset! 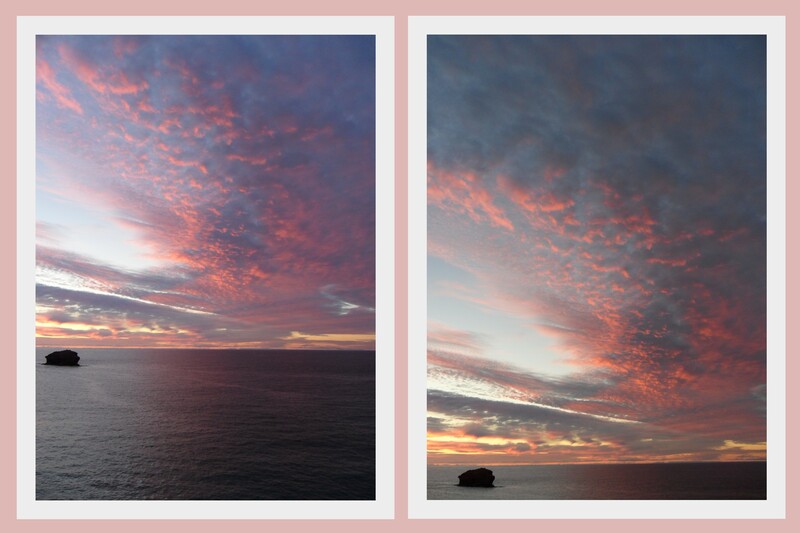 Here are a couple of the images from Portreath last night. Magical - Even the sea turned pink! This post was posted on Wednesday, August 3rd, 2011 at 12:14 pm and is filed under Beach Photography, Sunset Photography, Trash the Dress. « We have a new website and blog!